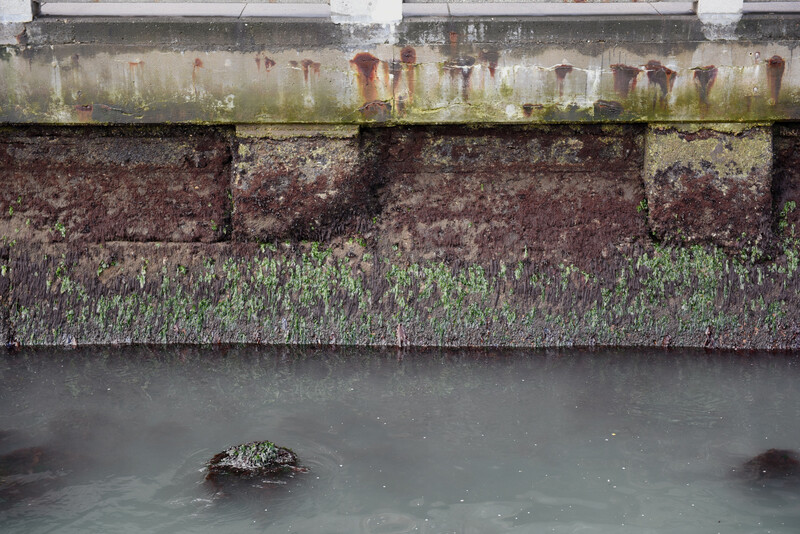 Proposition A would authorize a $425 million general obligation bond to shore up the aging seawall, most of the money needed for initial repairs to its weakest sections. If voters approve it, this bond would be merely the down payment on a multi-decade strengthening project, aimed at the acute risk of earthquakes and the creeping risk of rising seas. One hundred and sixty years ago, the city’s natural shore was a muddy crescent, arcing nearly a half-mile inland from the current waterfront. The Transamerica Pyramid, had it stood at that time, would be waterfront property. Those mud flats became a problem after the Gold Rush. Ships, whose return passage to home ports were funded only with prospectors’ dreams, were abandoned in shallow water. Some became saloons, or makeshift hotels. Running a ship aground intentionally helped build up sediment and bolstered legal land claims. “It was just a mess,” says Lindy Lowe, resilience program director for the Port of San Francisco. To tame this wildcat scene, the state of California began filling in coastal flats in 1878, and over 40 years pushed the waterfront farther into the bay. The seawall, built in pieces over decades, was a rough rock and brick trapezoid, a few feet wide at the bottom, topped with concrete. That’s what is now at risk from liquefaction. Where, exactly, along the seawall Prop A money would go is the subject of a separate, already-funded but not-yet-completed study. 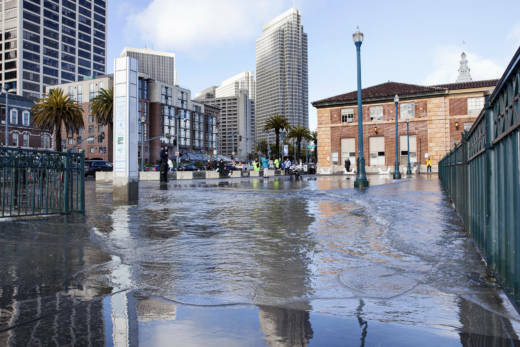 A good guess is near the Ferry Building, where a breached seawall could send water into a transit tunnel opening, and cause problems in BART’s Transbay Tube. Beneath the Embarcadero roadway, a major quake could leave what Lowe calls “a utility highway” vulnerable too: water, power and communications systems that are critical to both emergency response and daily life throughout the city. 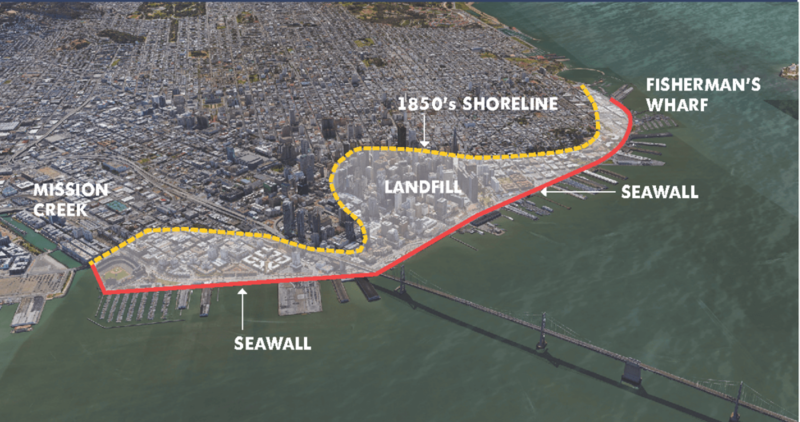 While earthquake readiness is at the heart of the port’s Phase 1 seawall plans, second and third phases stretching to the end of the century would re-imagine San Francisco’s waterfront entirely, to help protect against climate-driven sea level rise. San Francisco Bay was rising even as the seawall was being built; it’s come up 8 inches since 1900. Waves crash over the wall now, during high tides, and scientists project waters will rise along the waterfront up to two additional feet by mid-century, and five feet by 2100. Port officials say it could cost up to $5 billion to re-create a waterfront that's "resilient" to a rising bay, but plans – and future funding – aren’t set yet. The only public opposition to Prop A comes from the San Francisco Libertarian Party, which argues that sea level rise is a slow-moving threat, and property owners should handle it (and seismic risk) on their own. Supporters including Dignity Health, the Giants baseball franchise and several tech companies have poured about $900,000 into the campaign for seawall strengthening. The mayor is for it, as is every city supervisor, including Jane Kim, who represents waterfront areas South of Market. “It is incredibly important that we make prudent investments today to strengthen the sea wall [to] shield and strengthen the unbreakable bond between the city of San Francisco and the waterfront that we love so much,” Kim said, at an April press conference. According to a port-sponsored poll from earlier this year, over 70 percent of San Franciscans agree, so the bond may well get the two-thirds approval required to pass.